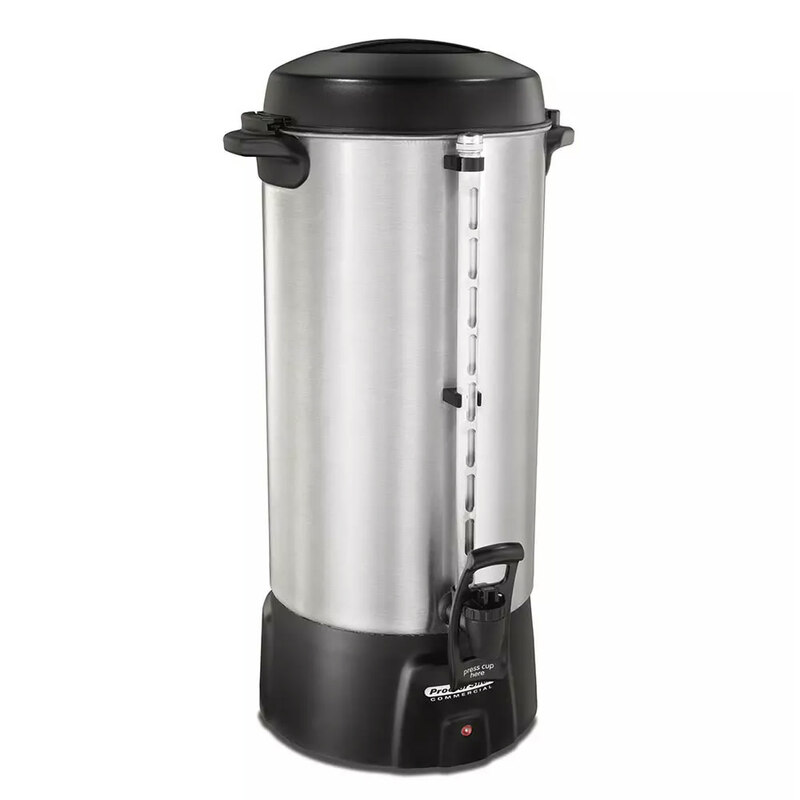 Event caterers, offices and hotel breakfast and hospitality stations will benefit from Hamilton Beach's 45100 100-cup coffee urn. The unit brews one cup of coffee per minute, and has dual heaters for more efficient brewing and the freshest tasting coffee. The tail base can fit small and large cups up to 12 oz. A ready-to-serve light indicates when coffee is finished brewing. Made from brushed aluminum, the unit is scratch-, dent-, and stain-resistant, and makes for easy cleaning. Brews 1 cup per min. 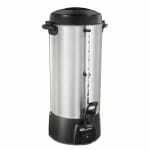 Can accommodate small and large cups up to 12 oz. "I bought 2 in the last 3 years. One shorted out the other doesn't heat anymore." "Bought at End of school year, Not able to use yet...."
"Good product but takes 1 hour and 30 minutes to brew 100 cups so start early if you have a specific time that you need to serve coffee." "Comes with a good description. Very good for bigger events. Comment for the manufacturer: The "Hot" sign should be much bigger!" "Meals are served for benefits and fund raisers throughout the month and for the price could do no better than our purchase. Pots are easy to handle when making the coffee and our older members can fill their coffee cups with ease with the spigot design." "Service was great! Very helpful! And we received them in a very timely fashion." "I would buy this product over & over"
"We use this for our church. We love that it's fast and kept coffee hot. We love the different capacity, from 20 cups to 100! We love that you only need one hand to get coffee! The congregation loves this product." "This was purchased for a Senior Group and has been used twice. So far we are very satisfied with it and hope to get many years use from it."